Estate planning has been muddled for the past decade or so as professionals and taxpayers alike grappled with an ever-changing tax environment. At long last, the fog has lifted. Here’s a brief summary of the main changes applicable to estate and gift taxes. The top estate tax rate, which was scheduled to increase from 35% to 55%, bumps up only slightly to 40%. The estate tax exemption, which was set to plunge from its high-water mark of $5 million (indexed to $5.12 million in 2012) to $1 million, remains at $5 million (indexed to $5.25 million in 2013). Portability of estate tax exemptions between spouses, which had technically expired after 2012, remains in effect. This allows a surviving spouse to use the deceased spouse’s remaining estate tax exemption. The estate and gift tax systems, which were severed and then re­unified, remain unified. Significantly, the estate tax exemption continues to shelter lifetime gifts as well as inheritances. Related provisions reflecting the generation-skipping transfer tax (GSTT) are extended. The GSTT exemption remains at $5 million (indexed to $5.25 million in 2013). The deduction for state estate taxes is ex­­tended. Prior to 2005, a credit against estate taxes was allowed, but it was replaced by the deduction. 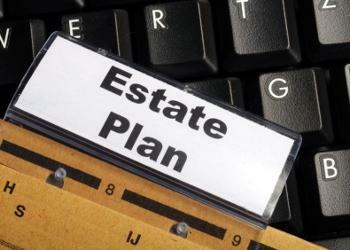 Does this mean you have to overhaul your existing estate plan in the wake of ATRA? Not necessarily. Depending on your situation, you may just have to tweak some of the documents—such as your will and various trusts—to accommodate the changes. In other cases, more substantial revisions may be needed. For example, you might change beneficiaries in your will to take advantage of the extended portability provision. In effect, a couple can now shelter up to $10.5 million from estate tax with the proper election. But note that portability can be a double-edged sword. For starters, it doesn’t protect future appreciation of assets from estate tax as effectively as using the exemption of a credit shelter trust. In addition, the provision doesn’t allow the deceased spouse’s remaining GSTT tax exemption to be used by the surviving spouse. Finally, some states don’t recognize portability. There’s no “right” or “wrong” way to do things. The best approach is to sit down with an estate planning pro to work out a plan that meets your specific needs. Tip: Despite the permanent nature of the changes, remember to incorporate flexibility into your estate plan.